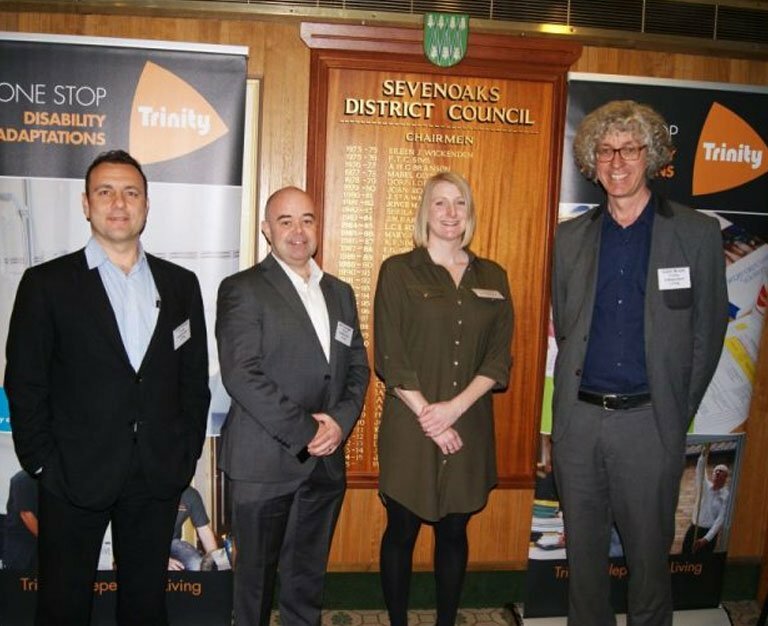 Trinity had the pleasure of sponsoring the Sevenoak’s Housing and health Forum with keynote speaker Marcus Jones MP, Minister for Local Government. This event was attended by Local Authorities, Home Improvement Agencies and Local Councils who heard the commitment from central government to supporting Health and Social Care budgets including a significant increase in Disabled Facilities Grant funding. There were also speeches from MP for Sevenoak’s and Secretary of State for Defense, Michael Fallon and the Leader and Deputy Leader of Sevenoak’s Council. Trinity sponsored the event with staff on hand to meet delegates and share knowledge and ideas on improving services in the adaptations sector.